These are the murals I've enjoyed working on the most! 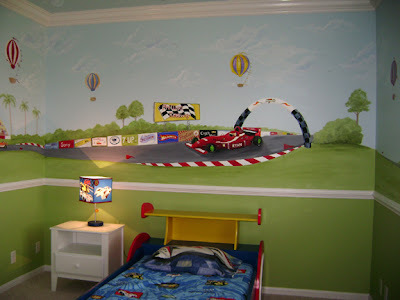 Nursery,Children's wall murals are great for creating fun and playful environments that kids and parent's both love. Choose any design .We recommend that your child be involved in the selection phase (or have a general theme in mind), so that you can be absolutely sure that he or she will love his or her new environment. Painted Ceiling Murals using trompe l'oeil and faux finishes to create illusions on ceilings. Generally, larger ceiling projects are created directly on the ceiling, since they are particular to the room dimensions, lighting and so on. The effect can be absolutely magical, and requires careful preparation. 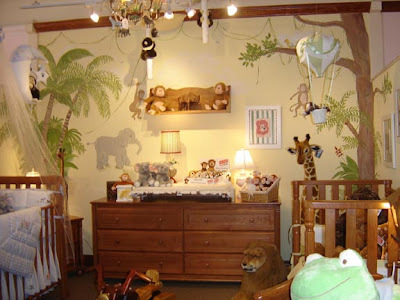 The jungle safari theme has been one of the most popular nursery themes selected by new moms for many years. 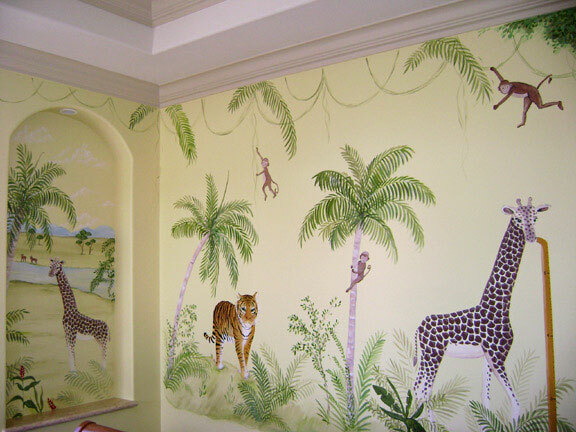 When decorating a nursery, think of things that will last.Jungle ,Princess, sports and beach theme in this children's room will last from newborn to early school age. 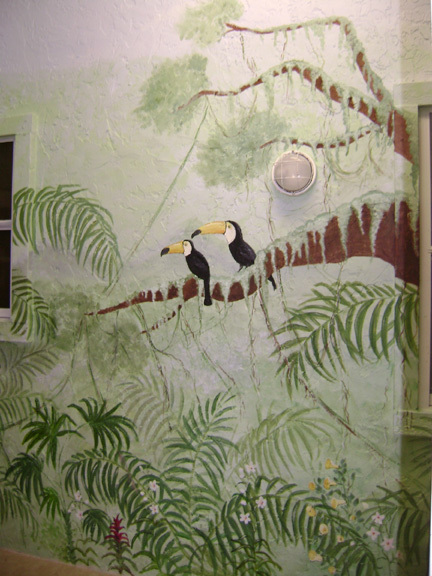 Pale yellow walls show instant spark when decorated with our jungle murals.Create a unique fun jungle theme in the child room! Create a fun watery world with bright and colorful coral reefs, lush plants and an array of beautiful marine life. Dive into your deep blue sea and swim with the fish in your ocean themed bedroom, this tranquil paradise setting is sure to entice a sea of dreams. Bring the beach party indoors with this beatiful beach theme. 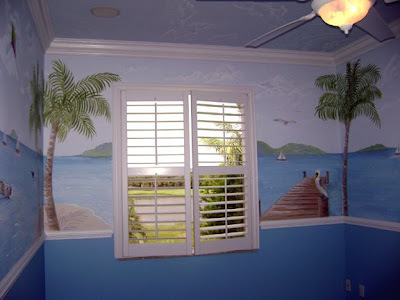 in this children's playroom - TROPICAL TRANQUILITY. So just lay back, relax and escape to the land of dreamy sunsets and swaying palm trees . There is no question about it, child wall murals are a great way to turn an average bedroom into a playful getaway that your child will enjoy for years to come. 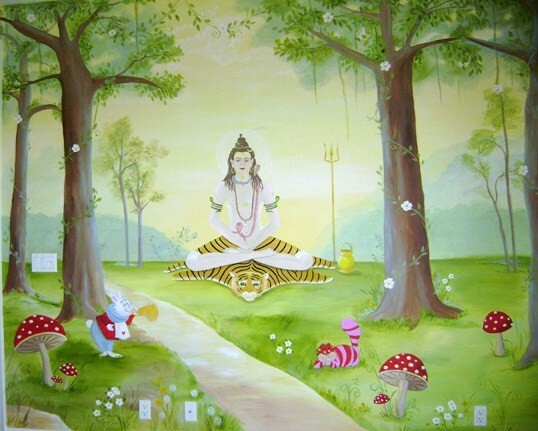 So, how can you create your own child mural? Here are 3 simple tips to give you some great ideas. 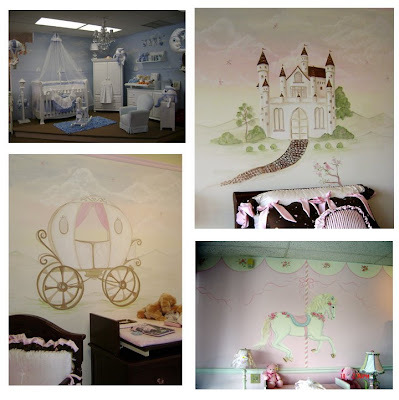 You can easily find an artist/painter who can create a beautiful child wall mural for an affordable price, but you can also create your own. Making a wall mural for your child is not as difficult as you may think and it can be a fun project for you and the kids to do together. A good way to easily create your own mural is to buy a kit. You can find them at most large home supply stores or stores like Michael's. For an even larger selection you can shop online and choose from hundreds of possibilities. The kits include stencils that can be used to paint horse murals, train murals, and hundreds of other murals. 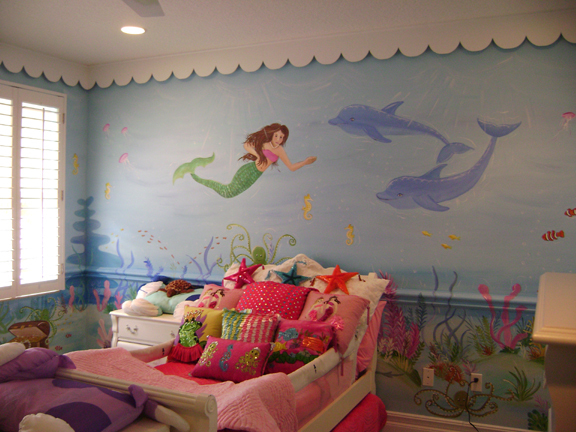 You can design your own child wall mural by doing a simple sketch of some ideas. You can use pictures from magazines to help spark some ideas if you need to. Your design could be birds, animals, sky, nursery rhymes, cartoon characters, etc. The possibilities are endless. Perhaps you would rather have a sports theme or even race cars. The key is to just be creative and let your imagination go wild. 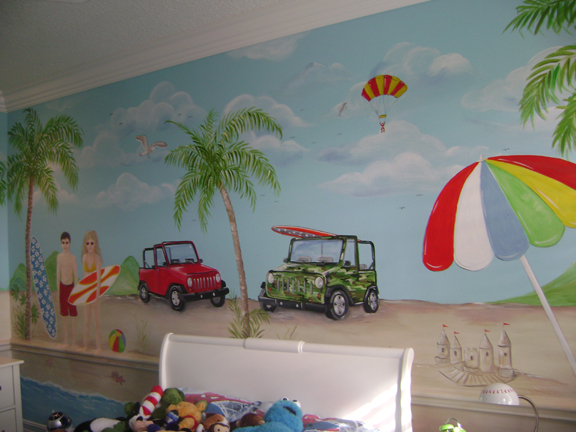 A child wall mural is indeed something special and will bring enjoyment for years to come. 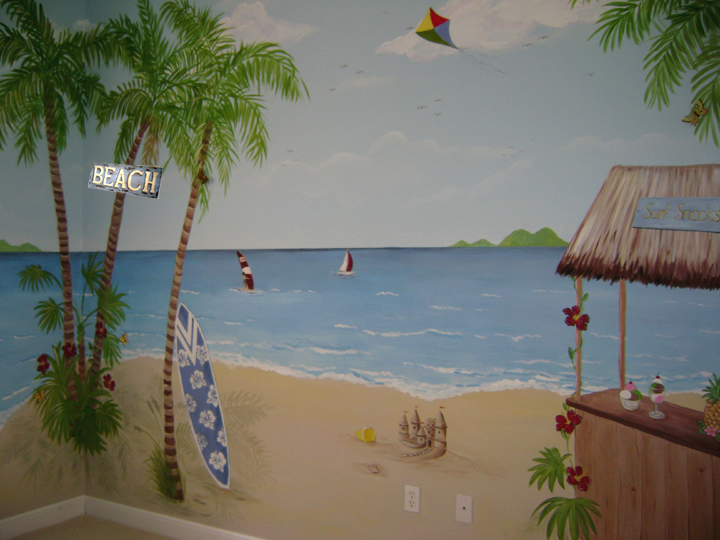 Don't forget, you can even update any wall mural and add new features as the years go by. You have a new baby on the way, which means there are so many things to consider and do before the child even arrives home. Chief among the preparations is setting up a room for baby. Many superstitions surround the project of making a room for the new baby before its born, but a certain amount of preparation must be done and can't be left for the last minute. You simply won't have the time or the energy to paint or wallpaper or put together furniture. The best places to look for budget-conscious baby furniture are at swap meets, yard sales, or thrift stores. Second hand can be just as good as buying new, in most cases. One thing most people don't consider when buying items is the amount of use the furniture will receive as the child grows. Will you be able to use the crib as a toddler bed later on when your child is ready for a "real" bed? 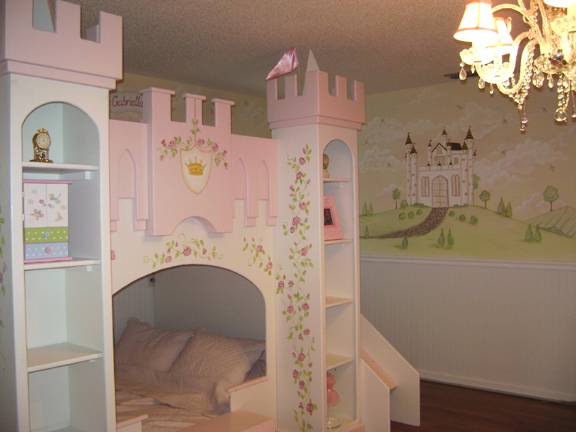 How well will the furniture you're getting now transition into something a small child could use? The more mileage you can get out of a piece of furniture, the more you'll get back from your investment. The first thing to keep in mind when designing your baby's room is safety. If you're inheriting baby furniture from a friend or family member, or re-using furniture you've had from previous children, check to make sure that everything is in perfect condition. Is the piece of furniture solid? Are there any loose screws or nails poking out? Is the finish smooth and splinter free? If the piece needs some work, are you capable of doing the fixing yourself? It may be more practical to buy something else to replace a worn item. As we've mentioned before, if you are handy in the workshop or with a sewing machine, there is no reason why you can't make some furnishings yourself. Give old furniture a new coat of paint or strip off the old paint and stain the wood. Making curtains is easy work too, and you'll probably end up with something better than what you could buy already-made. If you know how to knit, crochet, or quilt, use the quiet months before the baby arrives to make blankets and pillows. Keep color schemes simple. Primary colors of blue, yellow, and red are good throughout the child's early life. Pink and blue might be nice choices in the beginning, but not as practical later on as your child grows older. Painting a room is much easier than wallpapering, but if you want to add a little zip to solid-colored walls, consider putting up a pre-printed border or vinyl wall decorations that are easily removed later on. 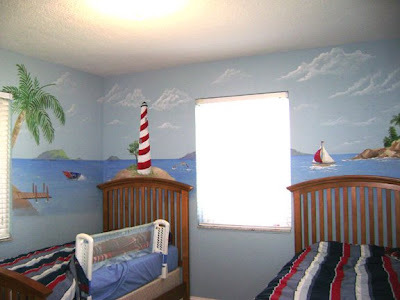 If you're the artistic type, paint a mural on your child's walls. 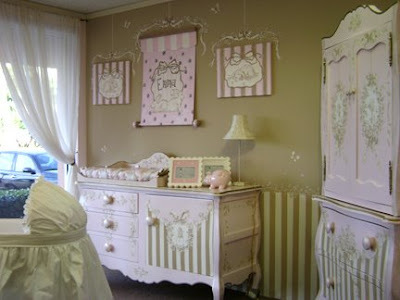 Decorating your baby's room on a budget can be fun and easy with some creativity. In no time, you can have a nice-looking, functional room. And remember, safety before aesthetics! Find helpful and creative ideas for parents and grandparents while you shop our great selection of kids furniture (including our popular wooden toy boxes) and classic toys. Visit http://www.themagicalrockinghorse.com/ today!